From the Complete Simmons Drum Book by Bob Henrit: “… At roughly the same time that Simmons products were becoming a force to be reckoned with, disaster struck. In November 1981 the Musicaid company collapsed. They were desperate for some development money so that SDS.5 could be produced in significant quantity, but were unable to raise the necessary funds from an associate investment company who already had a financial interest. The company was burdened with unwasted general music stock and eventually went into voluntary liquidation. Musicaid could have been saved for as little as £20.000 – a minute sum to secure the future of such a world-beating product, however at that time it was impossible to raise. They still had faith and hope, but precious little charity! It was back in September 1987. Johnny Cash played a show in Rotterdam/Netherlands and I had the pleasure to be part of the audience. After the show we met the band at a local hotel and I handed one of my white SDS9 pads to John’s drummer D.S. Holland for an autograph. Normally he played a Rogers which appeared as old as he was, so he asked me what that was? 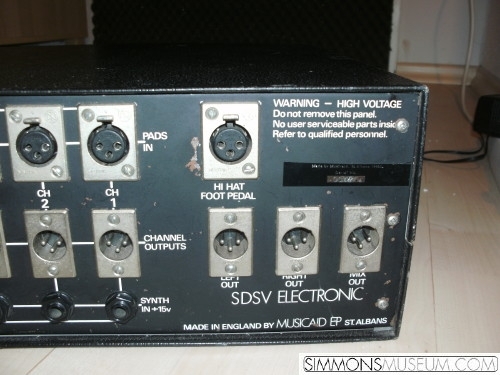 I explained that this was an electronic drum pad which would be used in many contemporary music productions. He turned up his nose at this strange kind of gear but of course I got my autograph and I got a smile from the band. Unfortunately I don’t have this pad anymore. If I would have known that I would collect “these strange drums” one day, of course I would have kept it. However a nice memory and Johnny Cash was one of the most impressive performers ever. 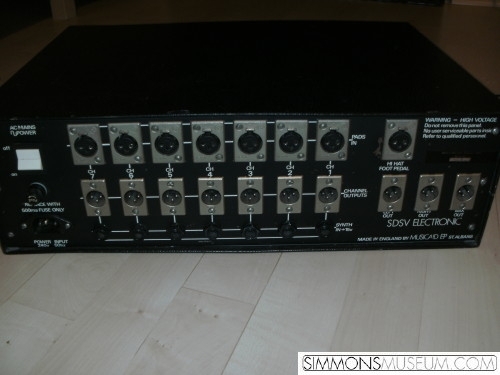 With only 100-200 units built, the SDS3 is one of the most sought-after drum synths. It is very hard to find a reliable working unit. After I got mine I forwarded it to Michael Buchner to let him do some repairs on it and to give him the opportunity to study and draw the (real) schematics. Obviously the original schematics had some errors. One of Michaels following projects was a one channel clone of SDS3. In early 2009 I had the pleasure to check a prototype which was more or less only a ball of wire, but it worked perfect and sounded like 100% SDS3. In the following period Michael completed the project with a perfect board layout, perfect chassis and perfect design. The target of this project was more or less fun. 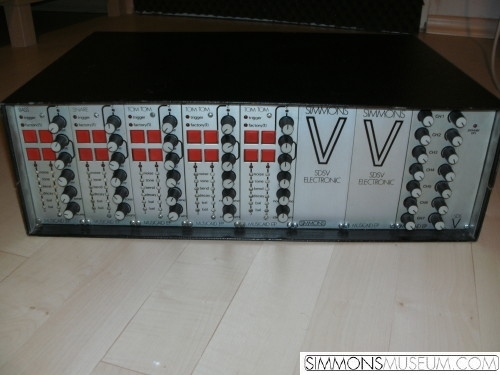 But short time later the German synth manufacturer Touched-By-Sound started to develop their own 5 channel clone. 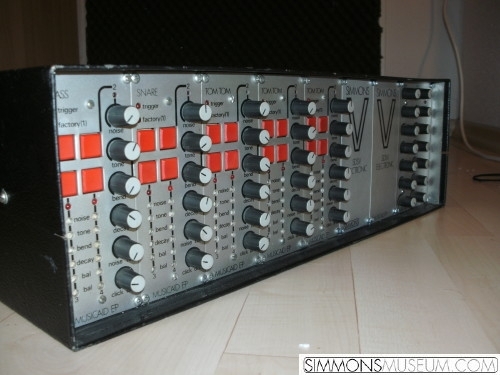 Michael shared his board layouts and during the 2011 Frankfurt music fair the Simmonizer SDS3 clone was shown for the first time. You are currently browsing the Simmonsmuseum's Blog blog archives for June, 2011.